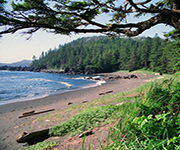 The Vancouver Island region encompasses the large island located west of the provincial mainland. It also includes the spectacular Gulf Islands. There is something for everyone here. Snowcapped mountain peaks tower over lush rainforests hundreds of years old. Meandering protected inlets merge with private sandy beaches. Visitors can spend their time exploring busy Victorian markets or they can hike remote rustic trails. The possibilities are endless.Western Vancouver Island is remote and unspoiled. Ocean waves crash along the rocky crags and sandy beaches, providing opportunities for water sports of all types. Eastern Vancouver Island includes the major population centers of the island. Sheltered and protected, this area allows you to access the many recreational opportunities in the area. Just off the east coast of Vancouver Island lie the beautiful Gulf Islands, home to some of British Columbia’s most gifted artisans. This is a place where you can truly relax.Vancouver Island’s climate is considerably milder than that of the mainland. The warm winds coming off the ocean keep the temperature so moderate that the west coast rarely sees snow in winter. 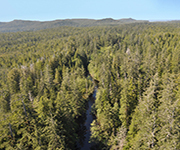 For year-round recreational opportunities within reach of the services and lifestyle of the major city, or to escape to the remote wilderness, the Vancouver Island region has the property for you.